The kabobs and rice were hearty, the lasagna cheesy. Having baskets of pita bread and French bread on the same table was slightly surreal. Our server had earlier brought out complimentary shirazi and yogurt salads. As we were finishing our entrees, she returned with complimentary filet mignon and veggie kabobs. Well, no matter why we got the free food, the kabobs were good, especially the flavorful filet mignon. We polished off about half when the server returned with complimentary baklava. No complaints there either. 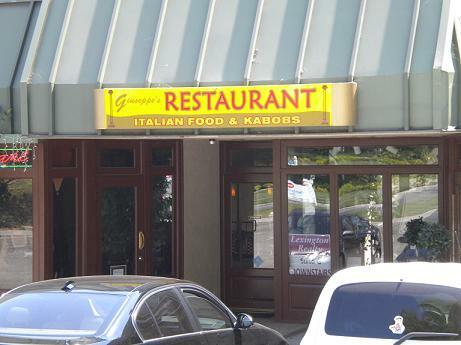 The restaurant is in a small building, easy to miss, as you round the curve into San Antonio Heights proper. The restaurant interior is comfortable and well appointed, with a subtle Mediterranean influence — columns at the entryways, colorful mats under the glass tabletops, muted Middle Eastern art on the walls. Why does Giuseppe’s have an Italian name but two different cuisines? 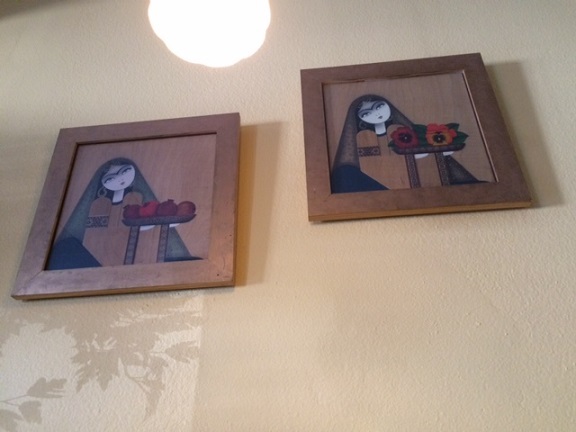 The co-owner said her family, which is Iranian, took the pizza parlor over in 1997 (it was founded in the mid-’80s) and added the Middle Eastern items. Her husband used to own an Italian restaurant, however, and that part of the menu isn’t an afterthought. Wonder if you can get falafel on your pizza? * Update, March 2015: In the area one afternoon, I returned for lunch. I ordered the chicken breast kebab ($15), which comes with basmati rice. Delicious. My meal also included a basket of fresh pita bread, still hot. To my knowledge there are no restaurants above 16th in Upland unless you head to the Colonies. Giuseppe’s is out of the way (unless you live near it, of course) and a dignified spot for a quiet meal, at least at lunchtime — for all I know it gets raucous on a Saturday night. Other than the exterior photo, which is from 2009, as is the writeup above, the rest are from this 2015 visit. I actually live a few houses up the street, and frequent Guiseppe’s. You need to go back and try the Pizza and Lasagna, they will bring you back over and over. On a side note, just tried Tango Baires Cafe, which you talked about a while back. The wife and I loved it, got beef empanadas and split a half pizza. We are stuffed but ready to go back. Thanks for bringing them to our attention. 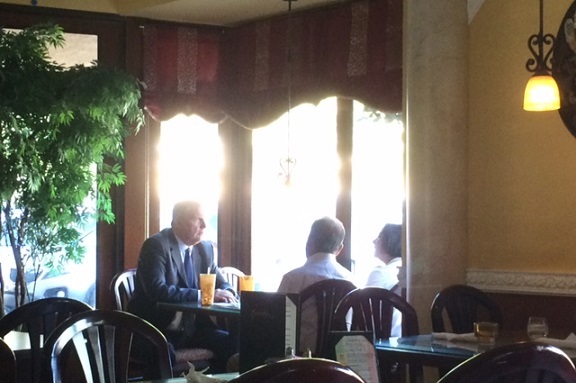 Hey David, we go to Giuseppe’s all the time — and even before the current owners. 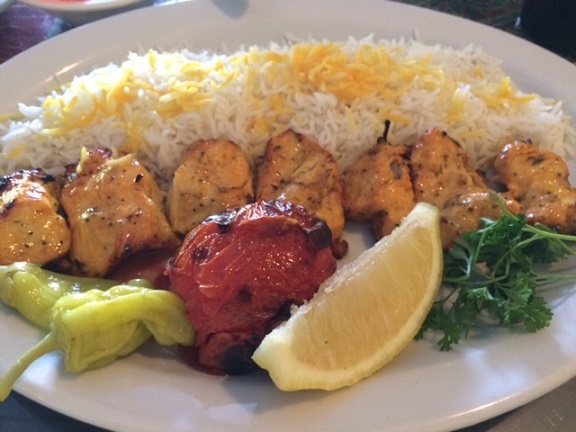 We love the koobideh (beef and lamp) kabobs, which are enough for two meals and the rice is the best. Dunno why, you’d think rice is rice, but theirs is better! C.